You'll love the Way the Setting Sun Warms the Impressive White Spruce Logs of this almost 5000sf home. 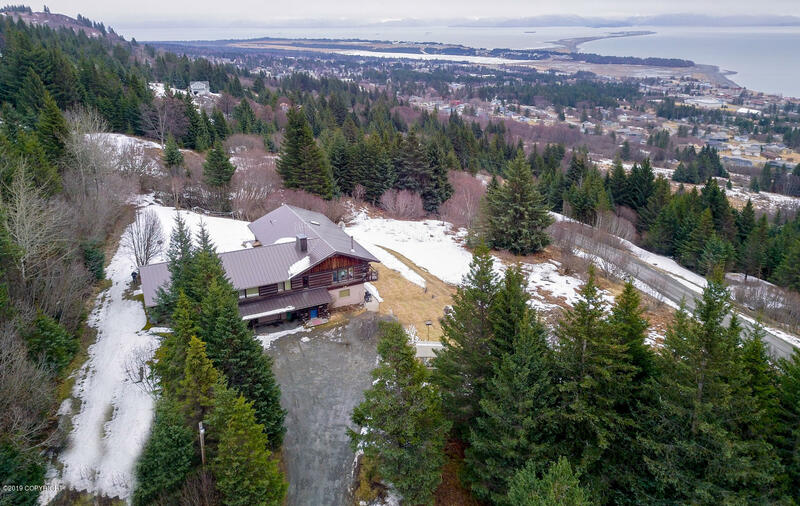 Cozy up to the Wood Stove & take in Majestic Views of Kachemak Bay and the Homer Spit. Over-sized Garage and Large Detached Shop to work in or Store those Great Alaskan Outdoor Toys. Top it off with 2 Additional Apartments to Generate Income or Vacation Rental! What's not to love? It's Beautiful! Owner have just completed a new DEC Septic and New Roof.